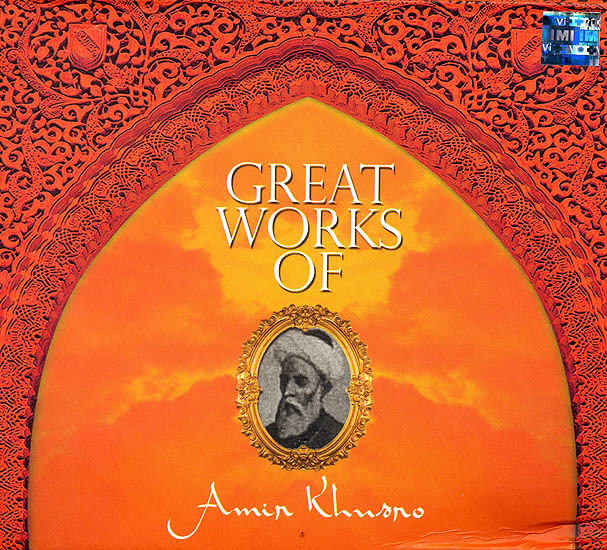 Amir Khusro is the iconic Indian Sufi Poet and musician regarded as the ‘father of qawwalis and Ghazals’. Apart from his fine poetry, Khusro is also credited with enriching Hindustani Classical Music with Persian and Arabic influences and was the originator of the Khayal and the Tarana Styles of music. It is said that Khusro spilt the traditional Indian ‘Pakhawaj’ into two to from a new instrument, now known as the ‘Tabla’. He is also credited to inventing the Indian Sitar. As a poet, Khusro was employed with the royal courts in Northem India, and his tender lyrics were enriched with highly involved prose and strong subjects with multicultural indent. From playful riddles, songs and qawwalis to ghazals and fine poetry, Khusro’s enormous range of work makes him a legend in his own right. This 3 CD Collectors’ Edition showeases some of his finest works rendered by a lineup of leading artists including the legendary Mehdi Hassan, Ghulam Ali, Sabri Brothers, Iqbal Bano and Bilqees Khanum among others.